The Maison Blanche is located in the center of the capital, a 15-minute walk from the Independence Square. 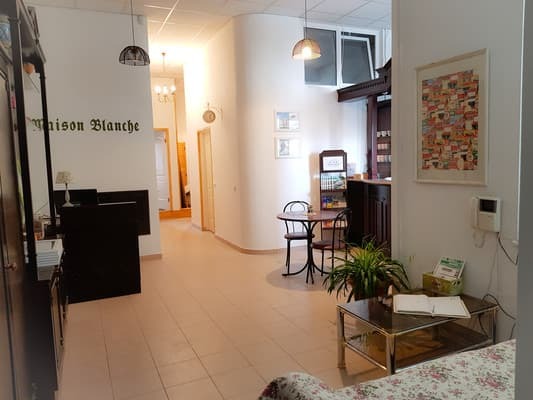 Maison Blanche is a mini-hotel with affordable and comfortable accommodation. 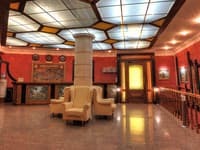 Guests have spacious rooms, free tea, a relaxation area with library, free high-speed Wi-Fi. 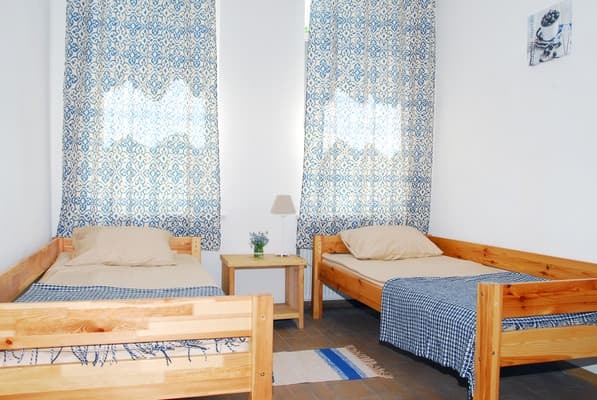 Accommodation in a mini-hotel is an excellent option for young people, a large company, fans of inexpensive travel, pilgrims and active people. The distance from the railway station is 2.5 km, from the airport "Borispol" - 38 km. Check arrival: from 16:00 - 23:00 hours. Check leaving: to 00:00 - 12:00 hours. 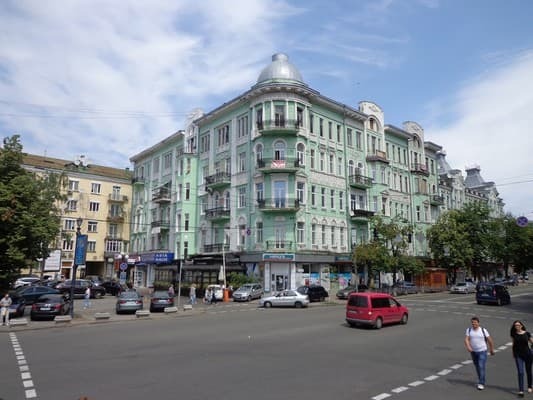 Maison Blanche is located in the heart of Kiev on Lvivska Square. 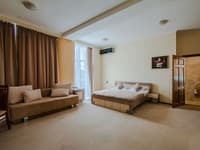 From the mini-hotel you can easily reach the main square of the capital, the metro station, the Golden Gate, the landscape alley and other sights of the city of Kiev. 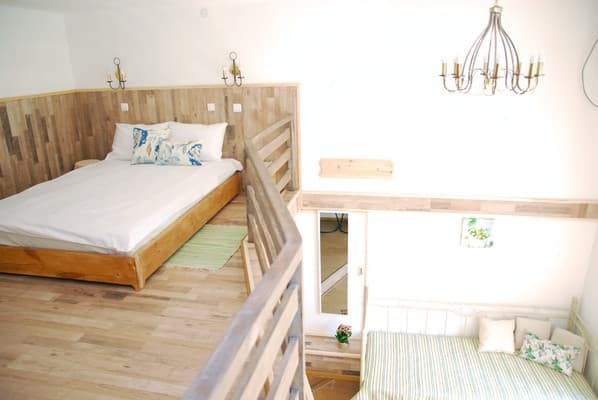 Maison Blanche Bed and Breakfast is located in the courtyard of the restaurant "Turgenef". With separate entrance. 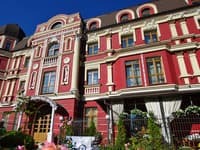 Also, customers can visit other hotels in the Maison Blanche network: Ecotourism "Maison Blanche" (Eco-hotel, organic shop, eco-farm, organic restaurant) - c. Berezovka Str. Zhitomir, 14a (highway E40) Makarov district. Eco-party "Maison Blanche" (Eco-hotel, organic store, eco-farm, organic restaurant, organic SPA) - p. Mytnitsa. Ul. Lenin, 2 (highway E95) Vasilkovsky borough. Polyclinic "Ohmadet" (Stratenskaya Str., 7/9) - 200 meters from the hotel. The nearest metro station is Golden Gate. From the station you can take a minibus No. 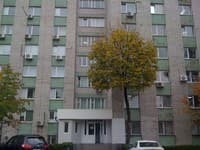 18 + 7 or 7 to Lvivska Square (15 minutes drive).